arrow_backPrevious Nextarrow_forward Ninth Island Showdown-Weekender #1 (Hawaiian Airlines & The Cal)-SOLD OUT! 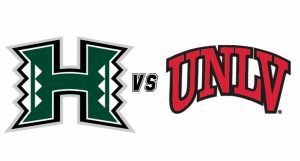 Its football Saturday at Sam Boyd Stadium and time for the “Ninth Island Showdown” as the Rainbow Warriors battle the Rebels of UNLV. The winner receives the rights to the Island Showdown Trophy, in the shape of a gold pineapple and nicknamed “The Ninth Island”. This award ceremony began in 2017 and now each year the winner takes home the pineapple trophy. Your escorted weekender package includes round trip air on Hawaiian Airlines, airport transfers, 4 night at the California Hotel & Casino, 4-day meal coupons, official UH tailgate party, sideline game tickets, transfers to and from Sam Boyd Stadium, commemorative “Black is Back” t-shirt and all taxes and fees. Panda Travel staff will be on the ground all weekend long to assist. *Quad room- 2 separate rooms and can chose king or 2 queen beds in each.